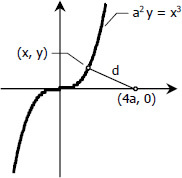 Given point on the conjugate axis of an equilateral hyperbola, find the shortest distance to the curve. For equilateral hyperbola, b = a. 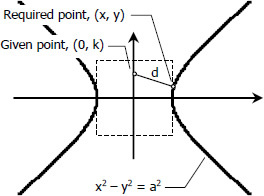 Find the point on the curve a2 y = x3 that is nearest the point (4a, 0).